I am sure all of you have read my thoughts on Suanne’s first book The Man I Love. If not please go and check it out. Following that, Suanne asked me whether I would be interested in reading GMYAT and sharing some of my thoughts. I cannot deny that I was excited to get a chance to know the story from Daisy’s perspective. This story can be considered as a parallel narrative to TMIL. Personally I would suggest reading TMIL first and then GMYAT. The reasons for this will hopefully become clear as you read my review. GMYAT follows the events of the shooting at Lancaster University through the eyes of Daisy. The story highlights her thoughts and her feelings throughout the entire timeline of events and beyond. Since the author had already introduced the story sequentially in TMIL, she seems to have handled the narration in this book differently. The story follows Daisy’s sessions with her therapist Rita as she talks about the events that finally led her to the point of needing to see a therapist interspersed with flashbacks to events in the past. All this until we reach the present day in Daisy’s life from where we follow her as she proceeds to take her life back into control and move forward. The author beings out pure emotion at every stage and they are expressed so wonderfully that as a reader I was able to feel everything that the characters were feeling. The strength and depth of the emotions startled me. It is quite intriguing to witness how one incident can change the life of a lot of people. the pain they endure and the way they deal with the situation changes them all. Through this story, the reader will also meet John, Will and Lucky. We are shown a side of them that we never knew while reading TMIL. In TMIL, the story was told from Erik’s POV and so everything was described based on how he perceived it. In GMYAT, Lucky and Will, who were her friends even before Erik came, are shown in a different light. Suanne highlights their friendship and how it started and the level of comfort they all shared. Suanna focusses on telling us the stories of many of the principle characters who appeared in TMIL. Through this narration we see them in a different light and get to know more about them and their personalities. The story also talks about Daisy’s relationship with John and how he helps bring her out of depression. All the events that lead up to this and what happens after are dealt with deftly and showcased through Daisy’s memories and experiences. As always, Suanne has strengthened her character sketches in this narration thus making us relate to them even more. It is easy to understand them. 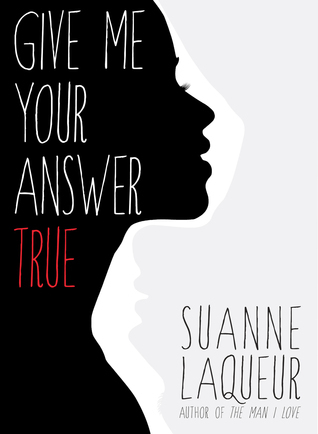 Suanne flawlessly crafts the story in a way to make the reader experience all the emotions she is describing at each stage. The story comes to an end at the same instant as TMIL does but the path taken to reach there is what makes GMYAT different. This story is a wonderful parallel narrative to TMIL and will once again bring the readers in contact with the characters Suanne introduced in TMIL. I strongly recommend this book for the sheer beauty of the narration and the depth of emotions protrayed through the style of writing.